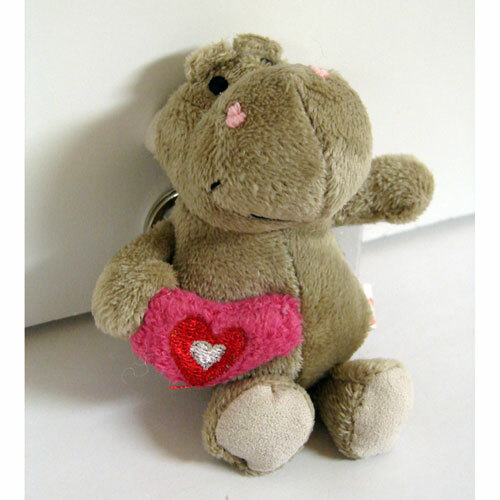 Cute plush gray hippo will keep you company and guard your keys at the same time. You can talk to him about anything and he listen without judging. What a great friend! His red and pink heart proclaims his love for you. He measures about 3 1/2″ long and has a key ring attached. Buy one for yourself and one for a friend!